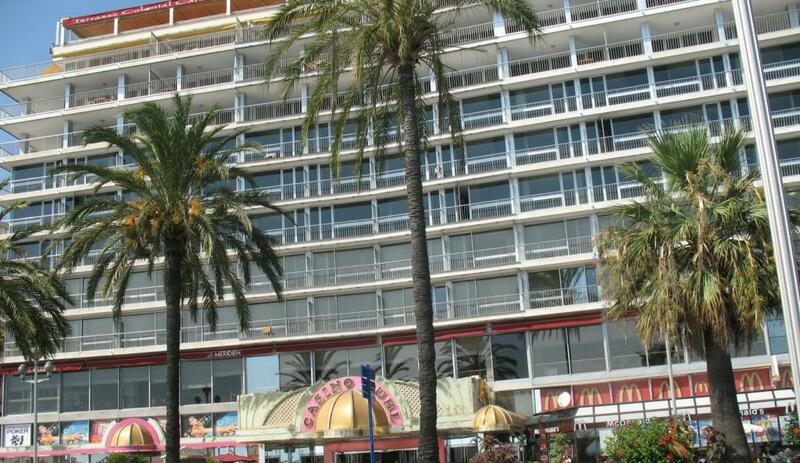 If it’s your first visit to the French Riviera then a good place to stay would be Nice or Cannes. The reason for this is that both resorts have excellent public transport systems and are on the main coastal rail line which runs from St Raphael to Monaco. 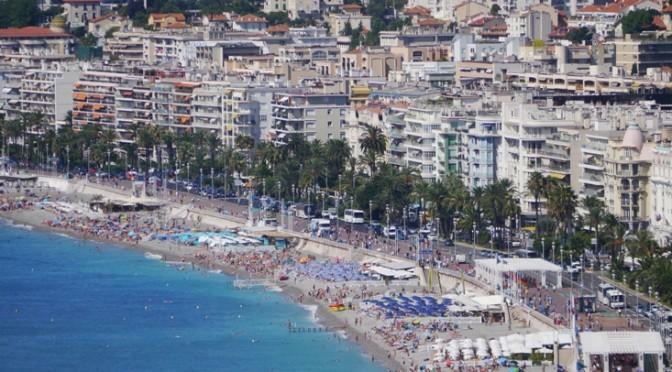 From Nice you can also catch the bus 100 which takes you along the lower corniche road. At the last check, the cost was a mere 1.50 euros! From the lower corniche road you will get magnificent views across the bay at Villefranche and of course the approach to Monaco and Monte Carlo. Don’t forget that Nice is a great base for trips into Provence and for visiting towns like Aix en Provence. If you don’t have a car then why not take the ‘Chemins de Fer de Provence’ 1-metre gauge railway which departs from Nice and goes to Digne-les-Bains. The Chemins de Fer de Provence station is located at 4 bis Rue Alfred Binet and is not far from the main station at Nice. If you want to shorten the rail journey you can get off at one of the many stops on the way such as Saint-Martin-du-Var or Puget-Theniers.If you decide on a bus trip out of town then why not take the number 100 bus from Gare Routiere along the lower Corniche road to Monaco or Menton. The bus ride only costs one Euro and takes you along one of the most panoramic coast roads in the world. 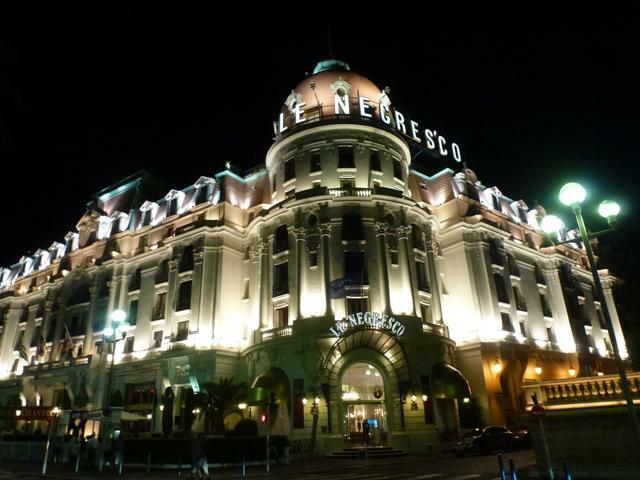 There are hundreds of hotels in Nice with the most famous being The Negresco. Other well located and less expensive hotels include TheNice Riviera which has an indoor pool, The Armenonville hotel with it’s large garden, the De La Fountaine Hotel which is a short walk from the bars and restaurants, and the Hotel Windsor with it’s garden and pool. The rooms of the Windsor hotel have been decorated by contemporary artists. There are even Tintin posters on the walls and a lift in the style of a rocket ship with a countdown to lift off! For Nice weather go to our Rivera weather page.